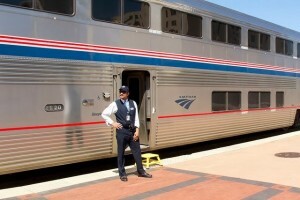 Tipping Your Amtrak Car Attendant – When and How Much? One of the things I enjoy most about train travel is meeting people. And once folks find out I’m a veteran at train travel, the question I’m asked most is about tipping. That bothers a lot of people because they don’t know the correct protocol and I’ve never found any guidelines in any of the Amtrak literature to help them out. Anyway, for what it’s worth, here’s what I do. 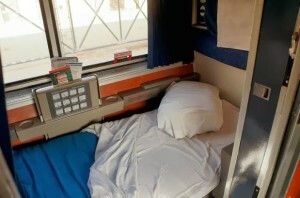 For the attendant in a sleeping car, I start with a very basic $5.00 per person per night and, depending on what kind of service and attitude I get, the amount goes up or down from there. So, if I’m traveling with my wife and we’re aboard the California Zephyr all the way from Chicago to Emeryville, that’s a minimum of $20 … two people for two nights. 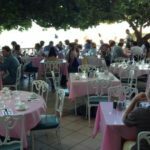 If we ask for or need any extras during the trip – having a meal brought to our room instead of going to the dining car, for instance – I’ll increase the amount appropriately, usually in $5.00 increments. Conversely, I’ll deduct from my basic minimum when a car attendant does less than what’s reasonably expected. Here’s a wonderful example: Last fall, I was on the Sunset Limited traveling from New Orleans to Los Angeles. The scheduled arrival time in LA is 5:30 a.m., but Amtrak usually allows passengers to remain on the train in the station until about 6:30. Well, not on that trip! The car attendant woke everyone up at 4:30 a.m. with a P.A. announcement saying she would be coming around in 15 minutes to collect our sheets and towels. In other words, 35 or so passengers, paying top dollar for sleeping car accommodations, were rousted out of our nice warm berths at least 90 minutes early for the convenience of the car attendant. You can be damn sure that my 10 bucks stayed in my wallet at the end of that trip. 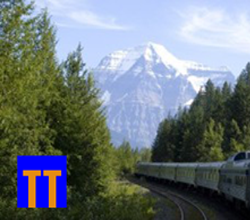 Furthermore, as a member of the National Association of Railroad Passengers’ board of directors, I am allowed to file a trip report each time I complete an overnight ride on Amtrak. You can also be sure I noted that incident in detail and peppered it with a few extra exclamation points! That said, I have found the vast majority of Amtrak car attendants to be friendly, efficient and very good at their jobs … jobs that often mean several 16-hour days in a row and can include everything from passengers falling ill to trains running many hours late. If they do a good job of looking after me and my needs for 40 or 50 hours, I’m more than glad to have $15 or $20 included in a warm handshake at the end of my journey. Next time: tipping in an Amtrak dining car. 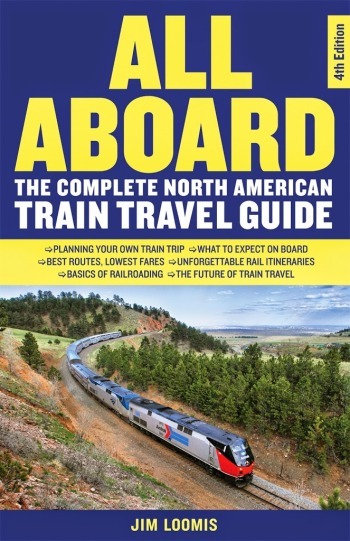 NextTipping in an Amtrak Dining Car – Why, When, and How Much? $48k is hard to live on in most places. Being away from home lot. I would say $20 for two per night is stingy. I plan my first Amtrack trip this July. I plan to tip more than that for each night. Two different trains. Tipping government union employees? $200.00 per day sounds right, even if a bit stingy. For two people. I assume you ment $20875 Stubble Rd. 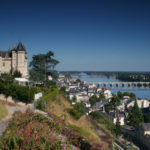 Could you help me please? I a 68 year old woman, handicapped and traveling alone on my very first Amtrak Train trip from Albany NY to Chicago, then transferring to a train to Dallas, TX. I will have a bedroom and appreciated your comments on tipping. Thank you! But, what should I tip the Red Caps who help me with my baggage? I would say $2 for smaller bags and $5 for any bags that are oversize and heavy. Oddly enough, I did a little research on this topic as I am heading to NOLA aboard the City Of New Orleans in a few weeks. Much to my surprise, I discovered that the average salary of AMTRAK car attendants is $22 per hour, and when factoring in bonuses, overtime and other incentives, car attendants average a very healthy $48,000 per year. That figure does not even account for top quality health insurance and other perc’s. These figures come from Glassdoor, which is a research company where people can gather information on companies, management, and salaries, in an anonymous manner. The information specific to car attendants can be found here. So, while you are losing sleep over how much to tip the guy changing your bedding…he probably rakes in far more than must people who are riding the train. It’s sad that you think $48,000 is a “healthy” salary! Cheapskate I cry anything ti make a heel of a lot more and don’t tip service people. Sorry, I don’t understand your point. I agree. $49K. Very tight to live on. Not many people traveling in sleepers that are not makeing way more. Some people just love a way to not tip. And the attendants are dedicated professionals. My point in this conversation is simply that whatever someone feels like tipping train personnel should be adequate since they make a healthy salary. Nowhere did I say not to tip anyone. They will not starve if you tip $2, $5 or $10. It’s unfortunate when someone misinterprets things and makes themselves look foolish in the process. Perhaps some remedial reading courses are in order. Or being able to express oneself with greater clarity. I wouldn’t call you an *ignorant* Aussie. Australia is one of those countries with decent labor laws and pay scales that eliminate the *need* for tips for survival: national minimum wage at least $15 an hour as I write this, and most State minima higher. This was a problem for me. At the start of my travels in the USA, I had no idea I should be tipping my Car Attendant (ignorant Aussie). Towards the end I got the hang of it and was giving an average of $20 per trip. Then I had a problem; I took the Texas Eagle all the way from Chicago to LA (via San Antonio). Had a fantastic Car Attendant Chicago to San Antonio. Didn’t find out until too late that he would be leaving the train there and then had the worst Car Attendant of my travels from San Antonio to LA (similar experience to you – woken up at 5am prior to arrival in LA, when info says we can sleep late). No one got a tip that trip. I don’t know … maybe I’m under-tipping. I hope not. At least I AM tipping and, as noted, many sleeping car passengers don’t tip at all. I have been seriously over-tipping. But better that than under-tpping!